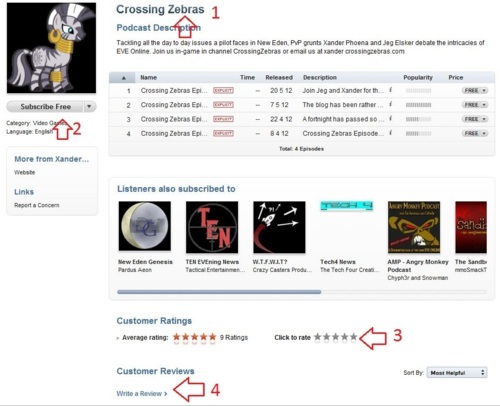 When we held our competition a few weeks ago, some of you reported problems posting reviews on iTunes. It looks like the cause of this is that you hadn’t subscribed to the podcast first. It would appear that subscription is a prerequisite to posting a review. I didn’t realise this as I try to avoid iTunes like the plague but unfortunately it is a necessary evil when it comes to pointing new people towards the show.